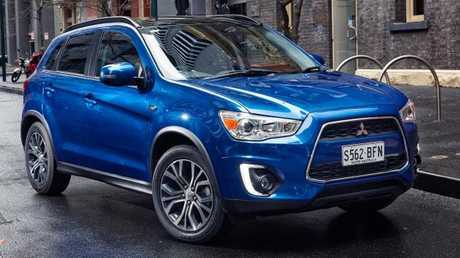 MITSUBISHI'S ASX has been an enduring over-achiever in the buoyant small SUV class. It's been with us since 2010 with no major update yet the ASX is still a sales champion - sharp pricing helped it snare top spot in its segment last year, besting the cool newer kids on the block, Mazda's CX-3 and Toyota's C-HR among them. Older ASXs look much like today's model so a used example still looks box fresh with signature high-riding, chunky styling. We'll concentrate on those sold from September 2012 when the 13MY landed, up to the 17MY ASX's arrival in November 2016. Thanks to Mitsubishi's five-year warranty, later examples of this vintage will have some coverage remaining as long as they've not travelled more than 100,000km. 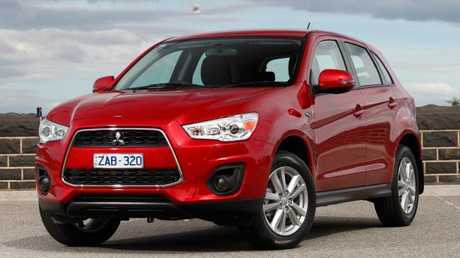 The ASX may not be a thrilling drive but it rides comfortably and has quite generous standard inclusions. Its ride height makes access easy for those with dodgy knees or hips, rear passengers get decent room and boot capacity trumps the CX-3 by some margin. Some owners criticise the rather sluggish petrol engine, poor fuel economy, cheap interior parts, hard plastics, road noise and dated infotainment. On the plus side, there are no recurring major mechanical problems and owners in the main adore the ASX, praising reliability, style, practicality and ease of driving. Your used choices are front or all-wheel drive using a 2.0-litre petrol engine or turbo diesel. Rather confusingly, MY13 cars had a 1.8-litre diesel if you wanted a six-speed manual gearbox (this was dropped the following year), or a 2.2-litre diesel if you fancied a six-speed auto. Petrol variants had a five-speed manual or quite whiny continuously variable transmission. You'll find next to no manual examples in the classifieds, while petrol 2WDs dominate. In the diesel's favour are better fuel economy and low-down torque. The conventional auto gearbox with steering wheel-mounted paddle-shifters is more satisfying than the CVT. Do you really need 4WD? Probably not, as most ASXs ply their trade only in town, but for those tackling the unsealed stuff it is desirable. Appealingly, a dash button switches between more fuel-efficient 2WD mode and 4WD when better traction is needed. Initially the base version came with seven airbags, 16-inch alloys, cruise control, keyless entry, electric tailgate, USB input and iPod control. Bluetooth cost extra, and there was no screen or reverse camera until MY14. Bluetooth was standard on MY13 4WD versions, as were front fog lights, steering wheel audio controls and reverse parking sensors. Desirable Aspire variants added 17-inch wheels, chrome radiator grille surround, partial leather heated seats, 6.1-inch screen, rear camera, navigation, auto lights and wipers and keyless entry, plus a panoramic sunroof for 4WD Aspires. For MY15 grade names changed to entry LS and fancier XLS. Both now had 17-inch alloys, daytime running lights, chrome exterior garnish, the 6.1-inch screen, Bluetooth, USB port, reverse camera, parking sensors and leather steering wheel and gear-shifter. XLS versions mirrored the deleted Aspire's spec but upped the screen size to seven inches. In June 2015, enhancements included 18-inch wheels, black wheel arch extensions, sportier steering wheel and digital radio. These ASXs are still young, so insist on a perfect service history. There have been numerous recalls and the work should have been carried out if kept within the dealer network. In February there was a recall for a brake fix and windscreen wiper fix; in October 2017 for a power relay switch; April 2017 for a door latch; December 2016 for anti-corrosion coating around the tailgate gas spring; October 2016 to fix possible acceleration delays in the CVT; and April 2014 for the Aspire's keyless entry. The ASX was popular as a rental car. Prioritise used examples that have had a private owner from new. Remember these aren't proper off-roaders. Check for dents, mud and sand underneath as evidence of a non-town life. Listen for a rattling dashboard, check the front seats don't rock when driving and look out for dodgy sunroof trim and poorly shutting gloveboxes. Cabin plastics can scratch easily. Check there's enough space for your needs - it's still a small SUV - and aim for a long test drive. Owners report road and engine noise can disturb the drive experience, so check you can tolerate it, especially at high speed. Similarly, the CVT can be a noisy and whiny thing when pushed and a tad jerky at low speed or on hills. It's the most common transmission in ASXs, so ensure you can live with it. Pair your phone via Bluetooth and test it works through the touchscreen via USB. The infotainment was sketchy, so make sure you can get it functioning properly. The ASX's popularity is down to reliability, good looks and ease of driving. Mark it down for lack of thrills when driving and questionable cabin quality but give it credit for decent specification, especially the XLS and Aspire. Most importantly the little wagon has proved durable mechanically and there's a good chance of warranty remaining. Diesel 4WDs are rare but desirable - don't pay too much. If you're an urban driver, the petrol 2WD will do the job for less money. Avoid the first batch of base cars as they lack the screen and Bluetooth. MERV FINGER: My 2015 LS 4WD diesel, bought new, has done 98,000km without issues. Great engine and gearbox, the brakes haven't been touched, I got 70,000km from the original tyres and it averages 5.8L/100km on the highway and 7L running around. The comfortable seats initially felt a bit hard. The three recall items have been fixed though the 90,000km service was very expensive ($1500, as the recommended transmission oil cost $500). The only complaint is road noise in the cabin over 80km/h on coarser surfaces - changing from Dunlop to Michelin rubber helped only slightly. ALAN P. HUNTER: We bought a manual with 56,000km on the clock and I absolutely love the vehicle. 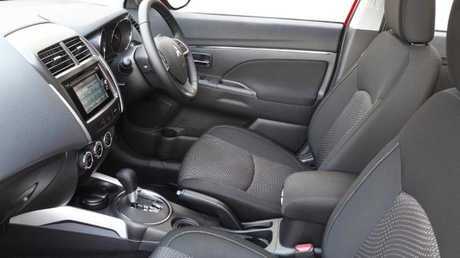 It is so comfortable to drive and quiet on the road with plenty of legroom. It suits the needs of two of us plus kelpie. The boot has ample space for shopping as well as the occasional holiday trip. I make the most of the cruise control and I'm getting 7.9L/100km. Mitsubishi was excellent in notifying us of a recall and doing the fix with no fuss. I believe service costs are very reasonable and I really appreciate the technology. This series ASX was consistently the top-selling model in the small SUV segment, tallying nearly 47,000 sales overall and averaging about 13,500 in 2015 and 2016, building from less than 8000 sales in 2013. From the current listings of what is known as the XB series, buyers looking for the base LS are spoiled for choice but examples of the flagship Aspire are quite rare. The 2012 front-wheel drive petrol manual retains $12,650 of its $25,990 new-car price. The Aspire for the same year, priced at $34,990 when new with diesel engine, manual and all-wheel drive, is now valued at $17,000. For 2016 models, the LS is valued at $18,100 and the newer flagship, the XLS diesel auto with all-wheel drive ($36,490 new) is now valued at $26,800. 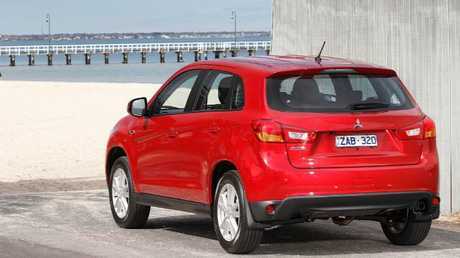 In the small SUV segment, the ASX is a midfielder for retained values. The percentage of new-car price retained for 2012 models is better than for the Nissan Dualis, Skoda Yeti and Volkswagen Tiguan from the same year. 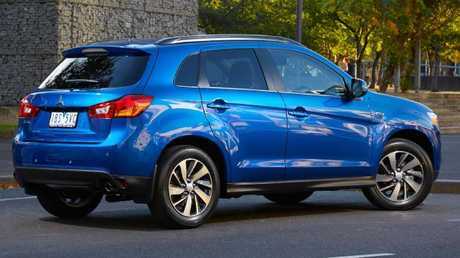 But the Subaru XV and the Hyundai ix35 for 2012 depreciate at a slower rate. 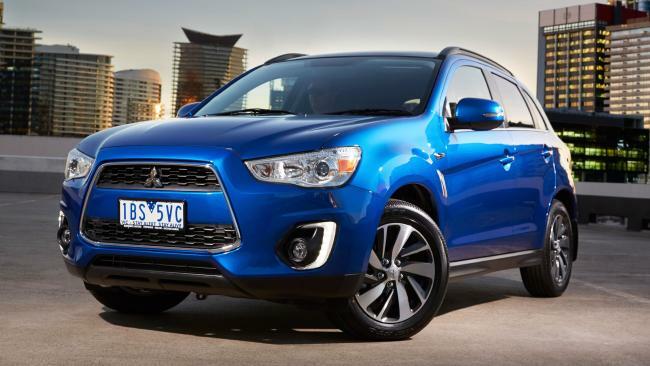 For 2016 models, only the Subaru and the Skoda better the ASX for resale values.